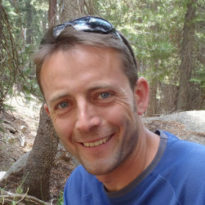 Dominick is Professor of Biopshere-Atmosphere Intearctions at the University of Leeds. He was awarded a Natural Environment Research Council (NERC) Advanced Fellow between 2009 and 2014, and in 2016, was awarded a Philip Leverhulme Award. Dominick currently holds a European Research Council Consolidator Fellowship (2018-2023) to study the impacts of tropical deforestation on regional climate. Dominick is interested in understanding interactions between the biosphere, atmosphere and climate and the way that these interactions are being altered by human activity. In particular he wants to help understand how deforestation impacts air quality and climate. Dominick’s research group combine models of the Earth’s atmosphere, land surface and climate with observations and satellite remote sensing.